Have a busy schedule and don't have time to cook? Or are you looking for a quick collection of fresh Indian food? Here at Meera Xpress we provide pure vegetarian foods where we have developed a fast food concept for our Indian cuisine. 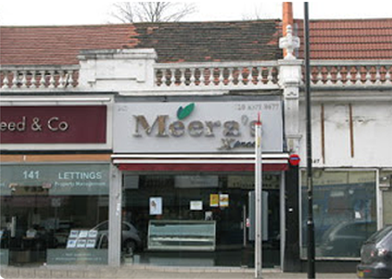 Meera Xpress also provides lunch Thali's at a fixed price of £3.50 for those who want the best of both worlds. You can even reserve your thali and pick it up on your way back from work. 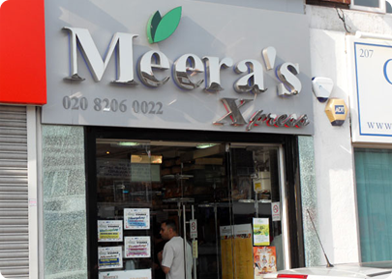 Meera Xpress lives up to its expectation and reputation where our food aims to comfort as well as inspire and satisfy the demanding palate of our customers. All our foods are freshly made and prepared on the premises thus maintaining our high quality foods at affordable prices.